Two brothers with family and friends in mind and a thirst for outdoor adventures, founded Rocky Mountain Adventure Rentals (RMAR). They assembled a team of the local outdoor experts who share the same desires for Blue Chip quality self-guided adventures. Their goals are to bring to the customer the highest quality staff, equipment, and service. Whether an individual, group, or family seek adventure, the entire RMAR team is committed to delivering lasting memories. 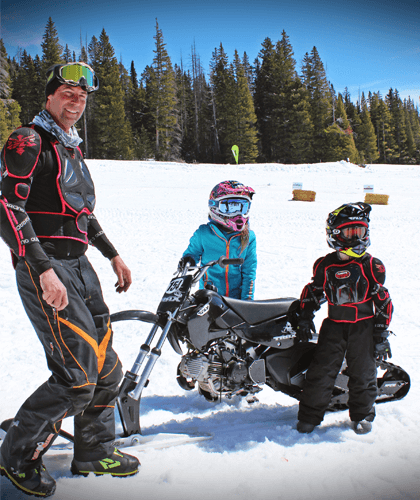 An exprerienced Horseback Tour Guide, Snowcat Driver, and Restaurant GM, Clay has worked his way through the ranks and has taken the reigns as the front man for RMAR. A native of Orono MN, near Lake Minnetonka, Clay graduated from Kenyon College with a degree in History and Economics. Clay arrived in the Vail Valley back in 2000 and spent his first two winters working for Vail Resorts. 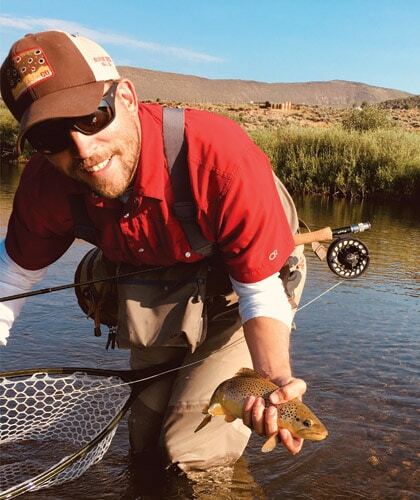 From extensive summer travels to fully investing himself in the community and the outdoor industry, Clay has established himself as one of the true local professionals here in Vail that is dedicated to making sure that the guest of RMAR have an experience of a lifetime. A native of Louisiana, Stan has been living and guiding in the state of Colorado since 1998. Raised on 2-strokes and 4-strokes, Stan grew up racing AMA and eventually became a professional dirt bike racer and AMA instructor. For almost 20 years, Stan has been guiding snowmobiles and now Timbersleds. In addition to his skills as a mechanic and guide, he has also worked as an EMT and for BRAAAP films as a camera man and medic. Stan is a seasoned veteran in all things backcountry and is a staple in the backcountry and Braaap Communities. A mountain dweller since 1999, Brian is a location expert, cartographer, and seasoned backcountry traveler. He brings over 18 years of product development experience in the Travel, Ecommerce, Special Event, and Education Industries. He has consulted with and worked with adventure travel companies throughout South America, East Asia, Europe, and the United States with a focus on SEO, CX, Data, and Marketing. 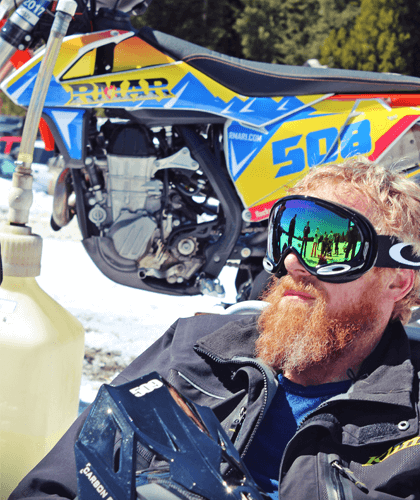 After launching his own successful event mapping product for the GoPro Mountain Games and the 2015 World Championships, he partnered with Rocky Mountain Adventure Rentals in the Spring of 2015 with a vision to reinvent what a truly unique vacation experience can be.